Leander Independent School District encompasses more than 200 square miles and is one of the fastest growing school districts in Texas. The district serves approximately 32,000 students on 37 campuses that include technology-enabled classrooms. Managing the audiovisual technologies in these classrooms would be a sizable task for almost any organization. But, Benny Bello, the district’s only full-time AV/Network Cabling and Infrastructure Technician, handles it all with the assistance of Extron PoleVault Systems and GlobalViewer Enterprise software. 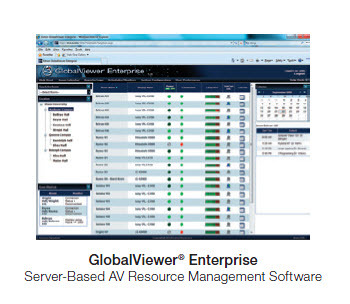 I’m not sure how I would support so many classrooms without the extensive monitoring, troubleshooting, and reporting capabilities of GlobalViewer Enterprise. 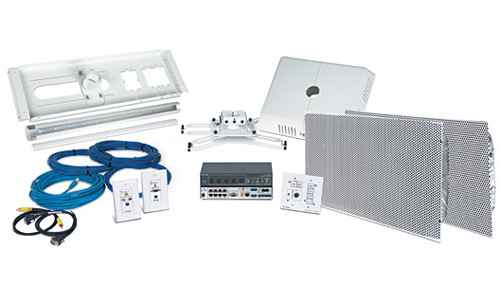 After an extensive review of the many classroom audiovisual systems available, the district standardized on Extron PoleVault Systems for their middle and high schools. In addition to Extron, district officials evaluated solutions from Crestron, AMX, and others. The final decision to choose PoleVault Systems was influenced by several factors related to support. Some examples noted by district officials include: other suppliers’ warranties are three years, while Extron’s is five years; service contracts were required by other manufacturers and integrators, but Extron did not require one; Extron allows the district to stock replacement parts for quick turnaround, while competitors do not. However, the chief factor leading to the district’s decision to choose Extron systems was GlobalViewer Enterprise software, or GVE, which enables the district to support hundreds of geographically dispersed classrooms from a single, centralized help desk. Connectivity troubleshooting: With one look at the helpdesk screen, he can detect when device communication is lost. In most cases, it is simply a wiring issue that can be corrected before a teacher notices anything is wrong. This functionality can also help in the event of a theft. When a projector was stolen recently, Bello was able to quickly provide school security officials with the serial number of the stolen device, along with the exact time that communication was lost. Security was able to narrow down the list of individuals in the room at the time of the theft. Lamp hour tracking: Bello uses lamp hour tracking as the basis for his lamp and projector preventative maintenance and budget forecasting. GVE can be configured to send email alerts when lamps need to be replaced. This allows Bello to efficiently schedule replacements as opposed to having a lamp burn out in a room an hour away from his office. Accurate lamp hour data from GVE enables the district to precisely forecast spending for lamps and projectors. Scheduled shut off: Through GVE, Bello schedules all projectors to shut down at 5:30 pm, 9:00 pm, and 12:00 am. This prevents projectors from being left on overnight or over the weekend, saving on energy costs and extending lamp life. Input monitoring: Bello also monitors which video inputs, computer or composite, are used in every classroom. This allows him to ensure that each campus stocks only the quantity of composite source devices, such as DVD players, that it requires, which eliminates unnecessary expenditures on excess inventories. Leander Independent School District has installed PoleVault Systems in over 1,200 high school and middle school classrooms, with plans for many more. The typical classroom is outfitted with a two-input system, featuring a ceiling mounted projector, speakers, a wall-mounted controller, one computer input, and one composite video input. The computer is the primary video source for the projector. Teachers can also check out a DVD player or connect their own iPad, iPad Touch, or other device through the composite input. Most teachers have converted their lessons to computer delivery, and have come to take it for granted that the system will work when they need it. “Some teachers might not know what to do if the system didn’t work during class time,” says Bello. Through effective problem resolution and regular preventative maintenance, GlobalViewer Enterprise software’s unique support capabilities help him keep things running smoothly for everyone, even from a distance.